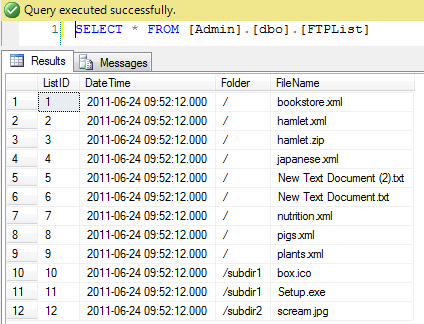 Today I came across a requirement to get all the files and folders list from a FTP server, The only way to get that will be through a script task that will loop through the files and get it into a SQL table. 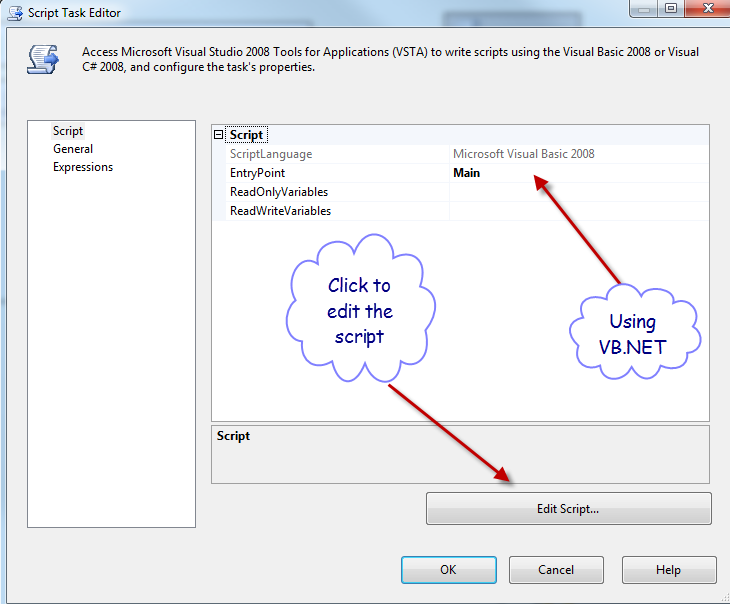 • Drag a “Script Task”. 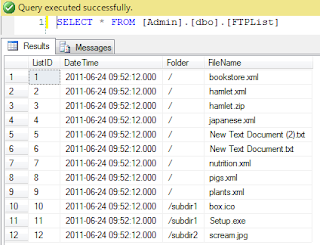 'SQL server connection to "Localhost" and my Database called "Admin"
ConnString = "Data Source=localhost;Initial Catalog=Admin;Integrated Security=SSPI;"
SQLStr = "INSERT into FTPList(DateTime,Folder,FileName) VALUES ('" + Now() + "','" + Dir.Trim + "','" + FileName.Trim + "')"
SQLStr1 = "INSERT into FTPList(DateTime,Folder,FileName) VALUES ('" + Now() + "','" + Dir.Trim + "','" + FileName.Trim + "')"